Rodeo Steakhouse, 5th & Holly Streets, Junction City, OR. 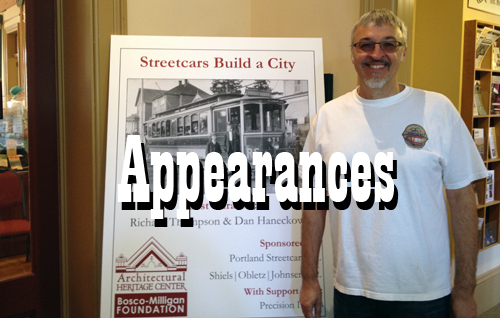 OPB Television, Interviewed in the Oregon Experience documentary Streetcar City, broadcast debuts on Ch. 10 and cable. Oregon Historical Society, 1200 SW Park Avenue, Portland.